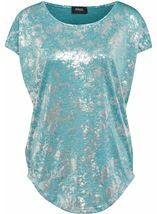 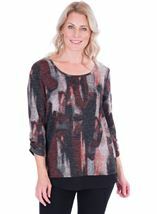 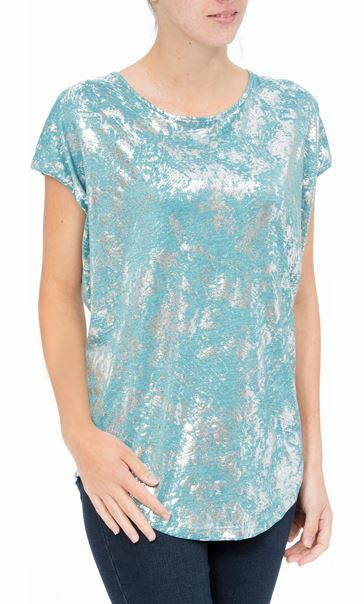 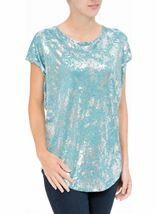 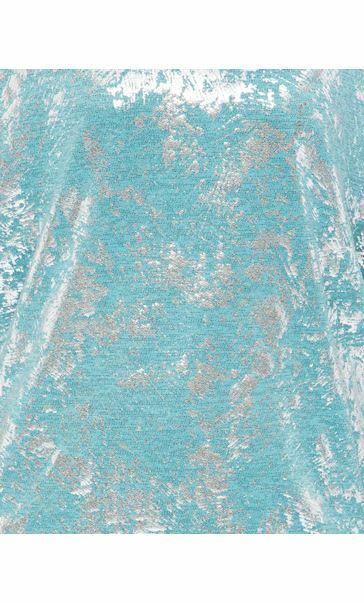 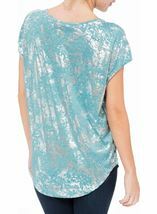 Add some shimmer to your look with this lovely loose fitting top decorated with a teal and silver coloured foil print. 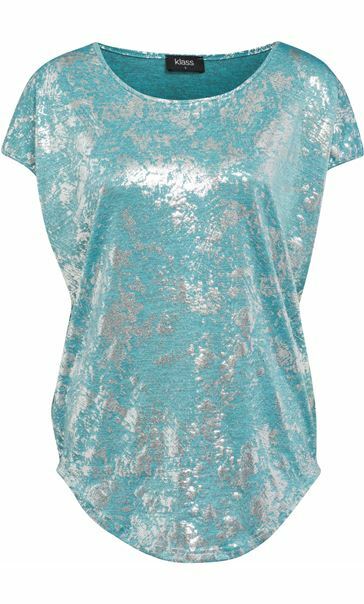 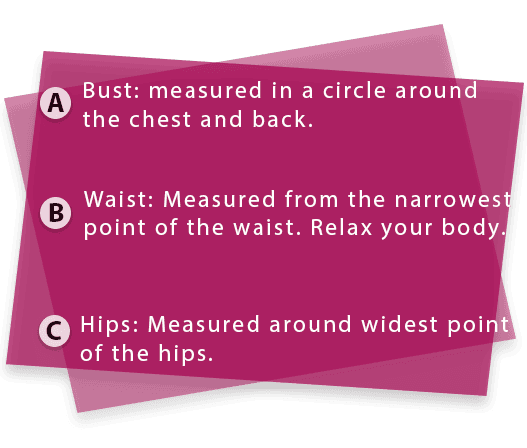 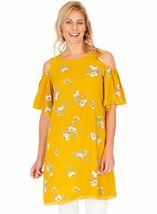 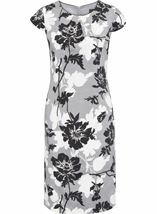 Featuring a round neckline and short sleeves, team with smart trousers and heels for drinks with the girls. 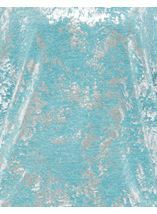 Back length 72cms. 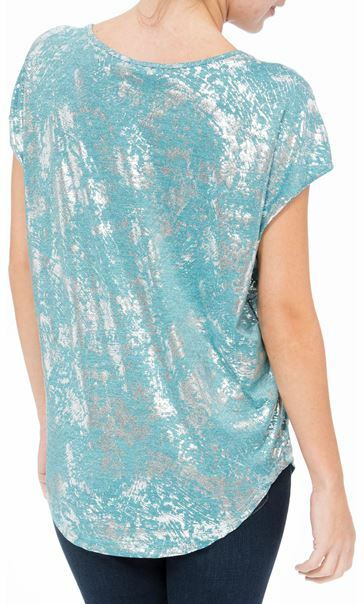 This is a lovely, shiny top, great with narrow trousers. 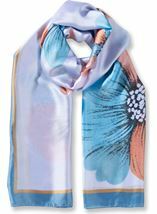 The colour is very attractive.. Found it a little too big.